Sparkle glitter glue in blue with applicator tip. Really fun for swaps! Squeeze in bottle caps or other small containers to had a hard, clear surface. Much better for your craft projects than school glue. Dries faster and holds better. Bling it, wash it and wash it again. Will hold gems secure on your tee shirts, jeans, jewelry or other crafts. 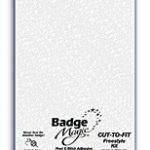 Badge Magic® is the revolutionary new way to attach badges to uniforms without sewing. Our new “peel & stick” badge adhesive has been tested on all Scout uniform materials and is guaranteed not to fall off in the wash. 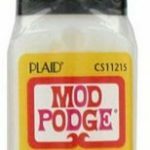 This glue makes your crafts look neater. 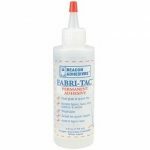 We tested them all and this is the only fabric adhesive that really works… especially good for felt crafts. A must for your craft box! 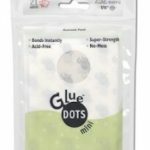 Quality glue dots make crafting easy. No more dangerous, messy glue guns. Just peel and stick. Formulated to adhere to all kinds of materials including paper, plastic, wood, foam and more. 3/4″ X 15FT Self-Adhesive Velcro. NOTE* only available in black at this time.